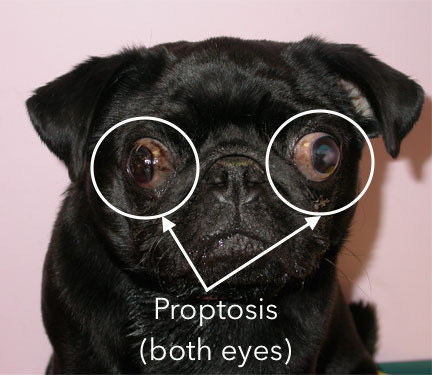 Proptosis Because Pug eyes tend to protrude, it is easier to have them forced from the eye socket than with other breeds. 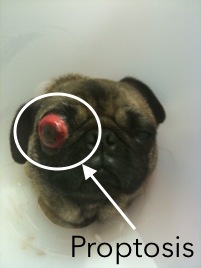 If a Pug is bitten near the eye, the eye could be pushed forward in front of the lids. 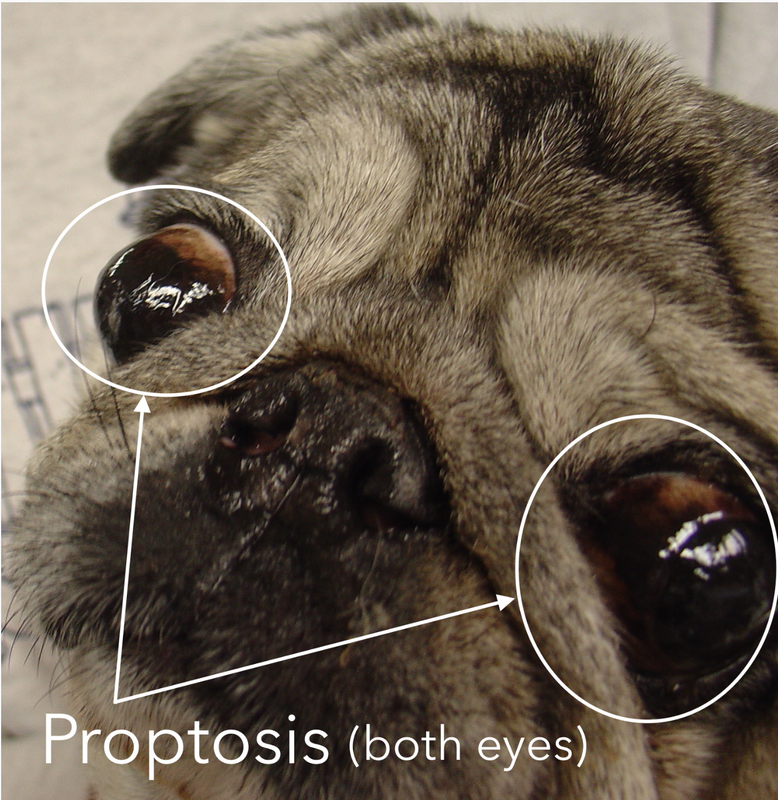 The eye is still held in place by nerves and muscles, but it is often too damaged to be sighted. This is a medical emergency since rapid response may allow surgical replacement and some sight might be saved.